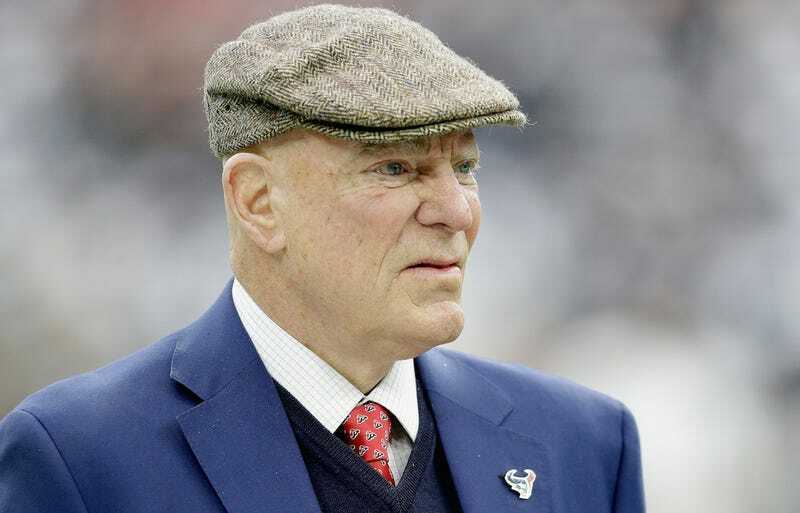 Houston Texans owner Bob McNair compared NFL players, who are employees and free men, to prison inmates during last week’s league meetings. (The exact wording, as McNair argued for banning players from protesting during the anthem: “We can’t have the inmates running the prison.”) According to various reports, the Texans players—including star receiver DeAndre Hopkins—are pissed. ESPN’s story, which included McNair’s quote, was published this morning. The Texans’ practice started half an hour late today, according to ESPN’s Sarah Barshop. And Hopkins, who hadn’t been listed with an injury this week, didn’t show up.